The internship program supports Taproot Theatre’s mission by providing volunteer opportunities for observership and hands-on learning to emerging theatre professionals. Taproot Theatre Company offers internships throughout the season in almost every aspect of the organization’s operations. Internships are generally held by undergraduate and graduate students, or recent college graduates. TTC offers teaching, directing, design, technical and administrative internships. Selection is based on the applicant’s career goals, professionalism, experience and availability. Internships are volunteer, unpaid and housing is not provided. Summer interns have the additional opportunity to perform in the Summer Intern Showcase. We encourage all interns to pursue the opportunity to sit down with Taproot staff, guest artists and other theatre professionals during their time with us. We offer tickets to all of Taproot Theatre’s Jewell Mainstage performances to interns. Housing is not provided, but resources in helping you find housing will be suggested. There is no payment stipend for the internship provided, however due to a generous grant from an anonymous donor, Taproot is able to provide up to $650 in travel reimbursement for interns participating in 2019. Interns may submit to be reimbursed for up to $650 for documented airfare, mileage, and any other travel-related costs – including housing and/or board charges. Appropriate forms will be made available at intern orientation and checks will be distributed upon completion of the internship. Applicants who start school in August are encouraged to apply! Taproot Theatre Company is under a Special Appearance Agreement with the Actors Equity Association and is recognized regionally for excellence, high production values and quality theater. Taproot interns have gone on to work at such theatres as Seattle Repertory Theater, Seattle Children’s Theater and ACT. Interns have come from New York, Illinois, Minnesota, Iowa, Texas and Florida to work with Taproot’s staff and on productions. Summer interns are invited to participate in the Intern Showcase Performance on one of Taproot’s stages! This optional project is a great opportunity to showcase your skills, in acting or tech. In addition to your intern hours, please plan to spend 8 evening hours per week for 4 weeks, and 15-20 hours for the final week, culminating with a live performance on one of TTC’s stage, which will be attended by one of Taproot’s Artistic Staff. (approx. 52 total hours) The showcase was created and produced by former Taproot intern Nathan Kessler-Jeffrey, who is now the Artistic Director of San Juan Community Theatre. While some of our internships are primarily observerships, the majority of internships provide opportunities for hands-on learning and experience. Teaching interns work with students, lighting interns write cues, stage management interns tech and call Acting Studio shows. The majority of the time, interns learn by doing rather than watching, receiving opportunities to stretch their skills under the guidance of theatre professionals. Taproot Theatre Company hosts an Acting Studio for adults and children. During your internship, you will have the opportunity to participate in one class free of charge. During your internship, you will receive four complimentary tickets for every Taproot Jewell Mainstage show. In addition, other theatres in town frequently give out complimentary tickets to their shows. Their offers are hung in the main office copy room. Keep an eye out for these notices and take advantage of seeing quality theatre for free! Taproot Theatre Company values people as a great resource and often employs former interns in positions appropriate to their talents, training and availability. While there is never a guarantee of employment following an internship, Taproot’s interns have had a reputation of staying involved with the company long after their internship has finished. See intern success. The following internships have rolling application deadlines. This internship is for individuals with theatre experience and/or professional training, and a desire to pursue educational theatre or directing. Interns will have the opportunity to assist teachers in our Acting Studio with warm-ups, acting techniques and rehearsals. These classes range from scene study to showcase performance classes. In addition, interns will have the opportunity to work closely with the Director of Education and Outreach in the daily running of an educational program including student registration and correspondence. Interns may be asked to assist with direction, choreography, music coaching, stage management as well as administrative duties. See summer internship listing for teaching internship opportunities with Acting Studio summer camp program. Directing interns will work as an assistant to the director for Mainstage and touring productions. They will attend rehearsals and observe the director and the stage manager during the rehearsal process. Directing Interns may also work as Literary Assistants and Dramaturgs for TTC productions, reading and researching plays. The intern is expected to work 15 –20 hours a week and this is primarily a professional observership. If additional hours are needed, a directing project can be developed under the mentorship of the internship advisor. There are up to six directing internships available, corresponding to the six Jewell Mainstage productions; additional internships are available for touring and Isaac Studio productions. Time Commitment: The Intern is expected to work 15 – 20 hours a week. *See summer internship listing for full description of summer internship opportunities. The Stage Management internship is for individuals seeking practical stage management experience. A stage management intern will be assigned to a production and will assist the stage manager during the rehearsal process (essentially acting as ASM). The Stage Management Intern will learn to recognize and communicate all administrative details associated with a production including creating paperwork, taking blocking notes and running a show backstage. Time commitment: The Intern is expected to work up to 30 hours a week. The Costume Design internship is for individuals seeking costume design, construction, wardrobe, and shop management experience. It is an intensive, individually designed internship for those who desire to be professional costumers. The internship can include: assisting guest and resident designers with construction on Mainstage and touring productions, production day work, millinery, crafts, patterning, wig maintenance, organizing stock, learning the business side of running the costume shop, running wardrobe for Mainstage productions. Individuals will learn not only from the shop manager, but also from the professional cutters, drapers and stitchers working in the costume shop. Individuals applying must have completed coursework in costume design or costume history, and have stitching experience. Two years experience in an educational or professional costume shop is required. Time commitment: The intern is expected to work an average of 20 hours a week, duration and scope of the internship to be determined by the intern and advisor. The following internship has deadlines on an as-needed basis. Please inquire about the availability of an internship before submitting an application. This internship is for individuals seeking hands-on experience in the intricacies of non-profit theatre administration, including but not limited to marketing, development, education and outreach, depending on experience and interest. Duties could include assisting with fundraising events, assisting in Public Relations and Marketing communication, and other administrative tasks. The position calls for excellent writing and research skills and competency in MS Office software applications. Applicants should be junior year college students or above. Theatre majors with an interest in arts organization administration and relevant experience, as well as Communications, Marketing and Business Administration majors are encouraged to apply. Arts Administration graduate students interested in interning with Taproot are encouraged to contact Shelby Parsons shelby@taproottheatre.org with their interests, experience, and focus of study to discuss whether there’s currently a graduate level appropriate project. Time commitment: The Intern is expected to work 10 – 20 hours a week. We will begin reviewing internship applications on February 5, 2019. Applications received after this date will still be considered, although we recommend submitting your application early, as positions will be filled on a rolling basis. Upon receiving your application, the Internship Coordinator will email you to set up a preliminary phone interview. Second interviews for all tech internships will be scheduled by the Production Stage Manager with decisions made about placement by April 12, 2019. Second interviews for all teaching internships will be scheduled by the Resident Teaching Artist with decisions made about placement by April 12, 2019. Second interviews for the arts administration internship will be scheduled by the Director of Education and Outreach with a decision made by April 12, 2019. Second interviews for the directing internship will be scheduled by the Director of Education and Outreach with a decision made by April 12, 2019. This internship is for individuals with theatre experience and/or professional training, and a desire to pursue education, theatre or directing. This internship takes place during the months of June, July and August, when teaching interns are teamed up with the instructors of our Acting Studio summer camp program. Interns will assist teachers with teaching daily warm-ups, technique and rehearsals of the showcase pieces. These pieces range from a collection of scenes to a full-scale musical, and everything in between. Interns may be asked to assist with direction, choreography, music coaching, stage management, and administrative duties. Assignment to each camp is determined by need, experience and the interest of each intern. This internship is for individuals with specific musical theatre and/or dance experience, and a desire to pursue education, theatre or directing. 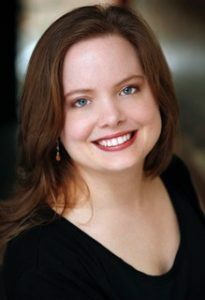 The musical theatre intern will assist Jenny Cross, Resident Teaching Artist, in the five musical theatre camps offered throughout the summer. Depending on skill, this intern will serve as assistant director or assistant choreographer in some of the productions. The Musical Theatre intern will serve as a general teaching intern on weeks without a musical theatre camp. This internship is for individuals with theatre and/or education experience who are interested in the administration of educational arts programs. The admin intern will assist the Education and Outreach Department with the functioning of the summer camp program. A successful intern will exhibit strong organizational and leadership skills. Arts Administration interns will assist other departments as needed, including Marketing and Development. Past Acting Studio interns who want to grow in administrative leadership are encouraged to apply. The Stage Management internship is for individuals seeking practical stage management experience. Stage Management interns will be assigned to the Acting Studio summer camp program and gain practical application as both a stage manager and assistant stage manager for up to 6 showcase productions. The intern is expected to take notes during camp rehearsal, track props and costumes, help keep the students focused, attend production meetings, and during tech/performances either run backstage or call the show depending on assignment. This will give them practical backstage experience and the opportunity to work with professional stage managers. In addition, the intern will have the opportunity to assistant stage manage the intern project. This internship is for individuals interested in costume design and costume shop management and have prior knowledge and experience working with costumes. Costume interns will be assigned to the Acting Studio summer camp program and act as costume designer for all showcase productions. Interns will be given the opportunity to design for the Supercamps, pull and alter existing pieces for the smaller showcases, and act as dresser for showcases when needed. In addition, the intern will assist the Costume Shop Manager with shopping, stitching, cutting/draping and fittings for upcoming Jewell Mainstage productions. This intern is required to attend Studio production meetings. This internship requires some experience in basic sound operations and/or design. Sound interns will be assigned to the Acting Studio summer camp program and act as sound designer for showcase productions. The Sound intern will work with the lead teachers and intern production team to create sound designs for each showcase performance. The intern will learn to use sound software such as SFX and QLab to build sound designs. In addition, the Sound Intern will operate the sound board for showcase performances and may have the opportunity to observe Jewell Mainstage rehearsals and performances. This intern is required to attend Studio production meetings. The lighting design internship requires some previous experience in stage electrics. Lighting interns will be assigned to the Acting Studio summer camp program and act as lighting designer for showcase productions. The intern will work with the lead teachers and intern production team to create lighting designs for each showcase performance. The intern will build cues in the ETC Element light board within the existing light plot gaining experience in designing, cueing and teching a production. The lighting Intern will operate the light board for showcase performances and may have the opportunity to observe Jewell Mainstage rehearsals and performances. This intern is required to attend Studio production meetings. This is for individuals seeking practical experience in prop design. Prop interns will be assigned to the Acting Studio summer camp program and act as prop master and set dresser for showcase productions. The intern will work with the lead teachers and intern production team to create prop designs for each showcase performance. This will include: shopping for props and prop materials, pulling and altering existing props, construction of new props, maintaining the workspace and returning used props to storage. Prop interns will assist as needed during the performances for each camp. This intern is required to attend Studio production meetings. Props interns may have the opportunity to observe Jewell Mainstage rehearsals and performances. During June and July the summer Directing Intern will assist the director of the Jewell Mainstage show, Bright Star and in August will assist the director of the Road Company touring shows. They will be asked to attend rehearsals and work with the director and the stage manager during the rehearsal process. Directing Interns may also work as Literary Assistants and Dramaturgs for TTC productions, reading and researching plays. Additionally, the summer Directing Intern will direct a piece in the Taproot Internship Showcase during the summer. Time commitment: 25 hours per week, available from June through the first week of September. First Rehearsal for Bright Star is June 3, Opening Night is July 12. Rehearsals are Monday-Thursday evenings and Saturdays during the day. Specific schedule TBD by advisor. The Production Stage Management internship is for individuals seeking practical production stage management experience. The Production Stage Management intern will be assigned to the summer Jewell Mainstage musical, Bright Star, and the Intern Project. For the summer musical, the intern will work closely with the Production Stage Manager and assist as needed during evening rehearsals, taking line and rehearsal notes and helping track props and costumes. Specific expectations will be assigned and communicated by the Production Stage Manager. In addition to evening rehearsals, a few daytime hours may be assigned to assist the Production Stage Manager with administrative projects, such as running auditions and prepping packets for fall shows. Once the show opens, the intern will then be assigned to stage manage the Intern Project and continue to assist with production management projects as needed. For the intern project, the intern will attend all rehearsals, send out rehearsal reports, communicate design needs to designers, run tech rehearsals and call the show during tech and performances. If desired, the intern can also have the opportunity to work on Acting Studio camps after the Intern Project is completed. Approximately 10 hours/wk will be spent in rehearsal for the Intern Project.